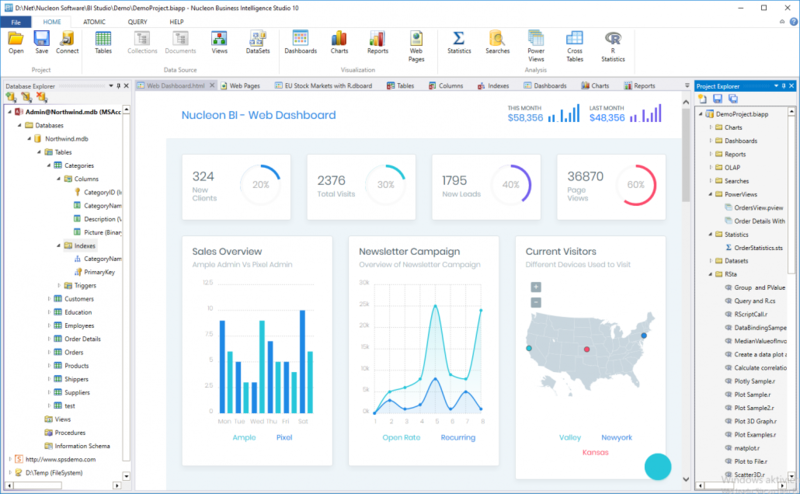 Easy to install, easy to integrate and easy to use, Nucleon BI Studio delivers a simplified business intelligence environment that improves user adoption and enables better decision-making. 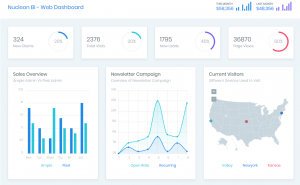 We offer BI products for both technical and non-technical users to simplify your business, based on a modern architecture and a user friendly interface for your unique data analytic needs. 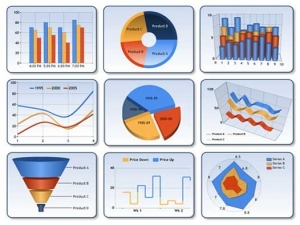 The R language is used by data scientists and programmers for statistical computing. 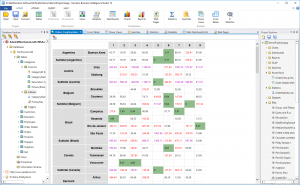 The BI R-Statistics Module can execute pure R scripts and C# scripts with R. The R-Statistics Module can connect to R engine, and execute the R scripts. 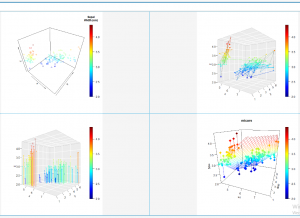 It is able to call the plotting for GUI output and to read results for further visualization. BI Studio provides LINQ query editor which allows you to execute dynamically LINQ to Dataset and LINQ to XML queries against database systems and data sources. Using LINQ feature you can write advanced data analysis scripts using powerful .Net C# programming language. BI Studio provides powerful and intuitive SQL query editor to execute SQL query commands. Using SQL Query editor, you can execute SQL commands or scripts against any database system. The Query editor supports code highlighting, code completion (IntelliSense) and text find/replace features. 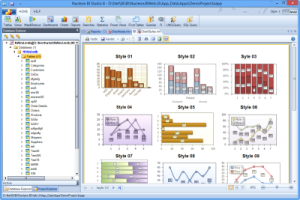 BI Studio allows users to export data from single or multiple database tables or views to common file formats. Data Export feature allows you to export into these file formats : SQL, XML, HTML, HTML5, CSV, MS Excel, MS Word, MS PowerPoint, OpenOffice Calc and Writer, RTF, PDF, XPS, JSON, dBASE and as PNG images. Users can export all database data and database structure (Table, View, Procedure etc.) as a SQL Script for database backup. 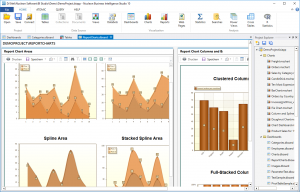 BI Studio allows users to import data into database tables from XML, CSV and SQL files. It allows also data import from other database system using database connections. It provides bulk SQL-Script import without any size limit. The import results will be reported in a log file.